Ideal for shortening steel watch bands and other heavy cutting jobs. Hardened carbon steel with cutting edge adjustment. 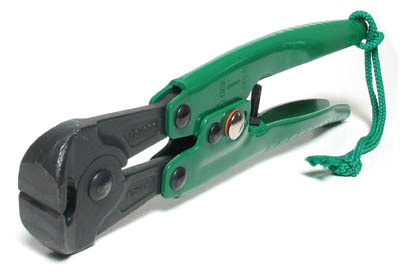 Short jaws for higher leverage and cutting power. Slide locks jaws in closed position. Pressed steel handles. 11/16" wide jaws. 8" long.